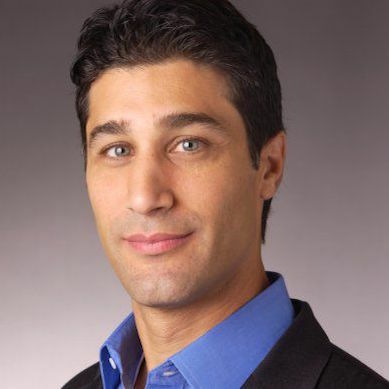 Mr. Samer Hamadeh is the Founder and Chief Executive Officer of Zeel Networks, Inc. Mr. Hamadeh serves as a Venture Partner and Advisor of Corigin Private Equity Group. He serves as Advisor of Silas Capital. He is an Entrepreneur-In-Residence of Lightspeed Venture Partners. Mr. Hamadeh joined Lightspeed Venture Partners in January 2010. He co-founded Vault.com Inc. in 1996 and served as its Chief Operating Officer. Before Vault.com Inc., he was an Associate at L.E.K. Consulting LLC, where he focused on corporate and business strategy. Prior to that, Mr. Hamadeh co-founded and managed a customized-textbook printing company and worked at Chevron Corporation. He serves as a Director of Zeel Networks, Inc. He serves on the Boards of Vault.com Inc. and PeaceWorks Holdings LLC. He serves as an Advisory Board Member of numerous early-stage companies including GrubHub, SalesCrunch, Insidr.com, Splurgy and PublicStuff. He serves as a Member of Advisory Board at Blue Beacon Capital LLC. He is a Board Member, Board Observer, Angel Investor, and/or Advisor in over a dozen early-stage companies, including GetMaid, URWelcome, Directly, PrivCo and PublicStuff. Mr. Hamadeh was on the Board of Dotmenu, Inc. He was also an Board Member at Campusfood.com. He is also a Member of Georgetown McDonough School's Entrepreneurship Advisory Board. He co-authored The Internship Bible and America's Top Internships. Mr. Hamadeh was a David Rockefeller Fellow. He received an M.S. degree in Chemical Engineering and a B.S. degree in Chemistry from Stanford University.